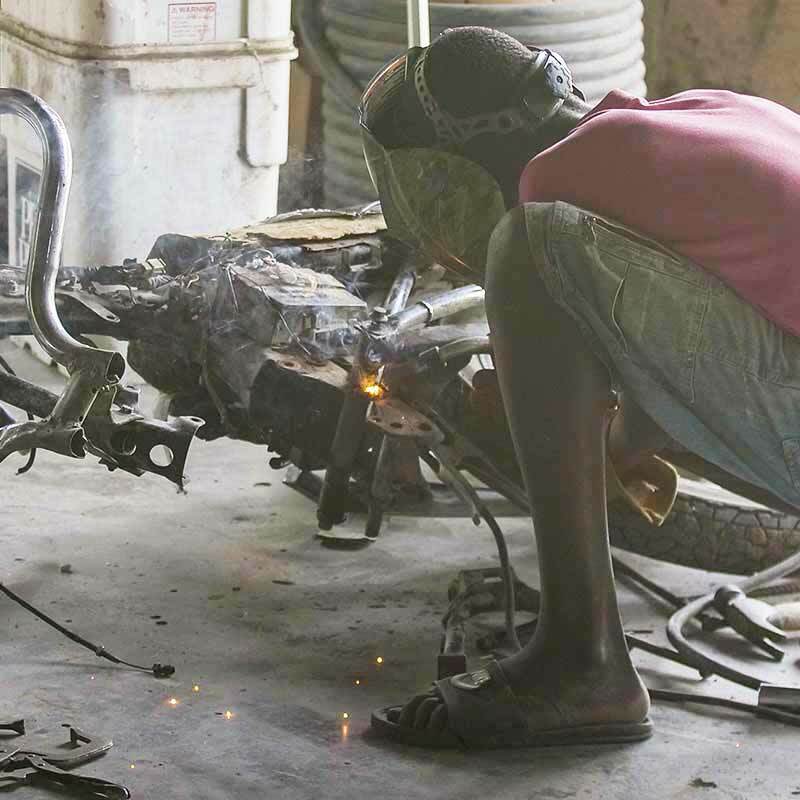 Equipping children with trade skills to break dependency. 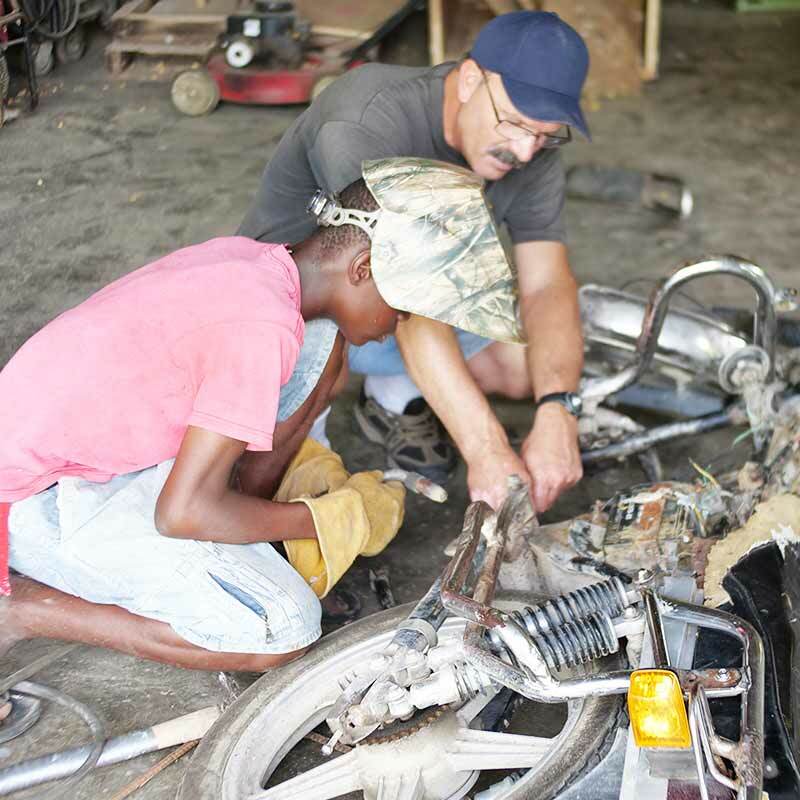 The teenagers at EGO learn skilled trades in the workshop. 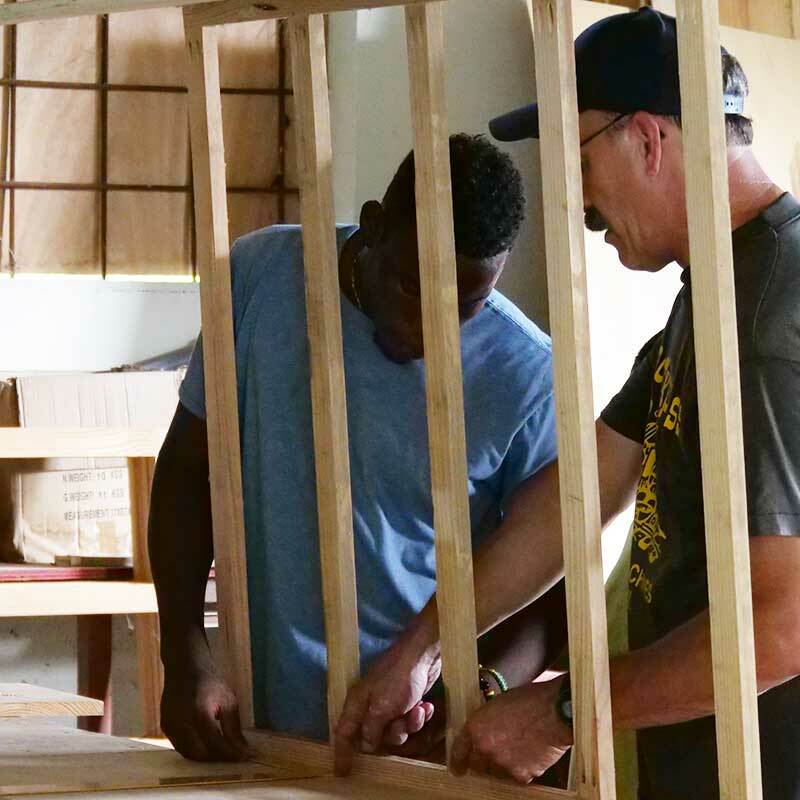 Ken teaches the kids to weld, build cabinets, plumbing and electrical installation, as well as cement work and finishing skills. We teach the kids a variety of versatile skills. We encourage the boys and girls both to think outside the typical social norms when it comes to choosing a career. We provide training at EGO in welding, cabinetry, machine shop vehicle repair, painting (acrylic), jewelry making, sewing, crochet, and baking/cooking. In addition, we are also working with the older kids (12-17) on inventory control in the storage depot, purchasing items at market, child care, etiquette, leading singing, bible study, and playing musical instruments.